The mysterious death of Radha Kumari, a student of Assam Agricultural University (AAU), Jorhat has sparked a spontaneous outburst of anguish among cross sections of people in the social media. 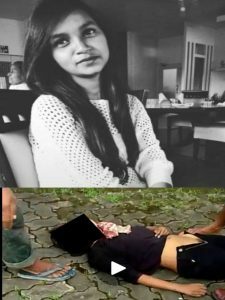 A campaign has been started on the social medial handle Twitter seeking justice for the 21-year-old student which has started off a chain reaction with more and more people joining in every passing moment. The twitterati were quick to react. In a bizarre incident, the body of the Assam Agricultural University student was found in the toilet of a passenger train on Tuesday at Simaluguri Railway Station in Upper Assam’s Sivasagar district. The body of the 21-year-old girl with several injury marks was recovered from the toilet of the Dibrugarh-Rangia Express when the train had stopped at Simaluguri railway station. Witnesses claimed to have seen injury marks on her face as the girl was bleeding profusely from her nose while a piece of cloth was tied to her neck and her trousers were found lowered from the waist. The girl, a student of B Sc fifth semester of AAU came to her Sivasagar home from Jorhat on July 7 after her semester examinations.